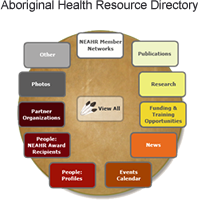 The Indigenous Health Research Development Program operated from 2003 to the end of 2013 to increase capacity in Aboriginal health research in Ontario. The IHRDP provided funding for community-based research projects and graduate awards for graduate students engaged in Aboriginal health research. The Summer 2012 issue of Bear Print, IHRDPs newsletter is now online!